Valve leakage is generally divided into two types: external leakage and internal leakage. Internal leakage refers to the inadequate closure of the valve due to erosion and abrasion of the conveying medium, scratches on the sealing surface and other reasons, which can not completely prevent the conveying through after the valve is completely closed. Leakage generally refers to the defect of the valve body itself, improper sealing between flanged joints or connecting threads, resulting in the outflow or leakage of conveying media outside the valve body. The quality defects of valves formed in the production process. One is the leakage caused by the quality defect of the casting valve in the casting process. The defects include sand holes, sand entrainment, slag holes and gas holes formed in the casting of the valve body. When the metal and paint coatings on the defect surface are corroded and impacted, the voids gradually expand and leak. The second is the leakage caused by the quality defect of the forging valve in the forging process. Such as cracks, cracks, folding and so on. These inherent defects will leak under the pressure of the conveying medium. Leakage caused by improper installation of valve flange. Firstly, the fastening nuts of pipeline engineering valves are not uniformly fastened, uneven or the type selection of sealing gaskets is wrong, so that the tightness after the sealing gaskets are too thin to play a sealing role. The medium leaks to the outside of the valve body under the action of pressure. Secondly, due to the sinking of pipeline support system, improper adjustment of position or support system, the cross-section of pipeline flange and valve flange is not parallel or dislocated, and there is stress between pipeline flange and valve flange during installation, which results in the seal gasket not being fully compacted and filled, and the transmission medium leaking to the outside of valve body. Third, when installing the valve flange, there are no tightening to the standard torque value, scratches on the flange sealing surface, radial grooves or other defects, bolt slippage and other reasons which cause individual bolts to loosen and lead to partial loosening of the flange sealing surface, and the transmission medium leaks to the outside of the valve body under the action of pressure. Leakage caused by packing. In order to prevent the leakage of gas, liquid and other media, some pipeline engineering valves have installed a sealing device in the stem part, i.e. packing. When packing is installed, the valve leaks due to the deflection of cap tightening, the inadequate tightening of packing bolts, the insufficient filling, the wrong selection of fillers and the unequal installation of fillers. 1. Leakage position of valve. Generally, the valve leakage often occurs in three parts: first, the contact between the opening and closing parts and the sealing surface of the valve seat occurs internal leakage; second, the leakage occurs at the connection between the valve body and the valve cover; third, the valve closing position is not adjusted in place, and internal leakage occurs. Improper design of valve design unit. The improper design and selection of valves do not take into account the factors such as oil and gas pipeline transmission medium, transmission medium temperature and ambient temperature, flow rate and pressure, which results in that the pressure grade and structure of the valves selected do not conform to the reality of the medium transported by oil and gas pipelines, resulting in leakage of the valves in the course of use. Valve manufacturer’s production is not up to standard. The purchased sealing rings do not meet the requirements of design and selection, material and technical specifications do not meet the requirements of technical specifications; the sealing rings are not installed in place or defective sealing rings are used, and the valve pressure test is not found, resulting in leakage of the valve in the pipeline; the processing dimension of the valve and valve cover is oversized and the assembly is not in place; the valve switch position is not in place, so that the valve is closed completely. When indicating position, the valve can not be completely closed, resulting in internal leakage of the valve; when the valve is out of the factory, the valve is not adjusted to the full open position, or the two ends of the valve are not protected, resulting in impurities entering the valve chamber. Inspection by supervising and manufacturing units during valve production process is not effective. The supervising and manufacturing unit has not played its due role in quality supervision, so that the valves that have produced internal leakage defects are discharged from the factory. If there is no supervision according to the construction outline and implementation rules, the key control links are out of control. Valve transport units do not operate in accordance with specifications. In the process of transportation, the valve is not operated in accordance with the rules of loading and unloading and transportation. The unreasonable binding, fixing and protection of the valve result in knocking and vibration of the valve in the process of loading and unloading, which leads to internal leakage due to external or internal damage of the valve. Valve transfer logistics unit (transfer station) improper storage. After receiving the valves, they are barbarically loaded and unloaded in the hoisting process. During the storage process, the valves are not accurately stacked or stored in the transfer station for a long time as required by the manufacturer’s instructions. The valves are not properly maintained, resulting in deterioration of lubricating oil (grease) in the valves and aging of sealing surfaces. All these will lead to internal leakage of the valves. Installation of valves and improper handling by construction units. 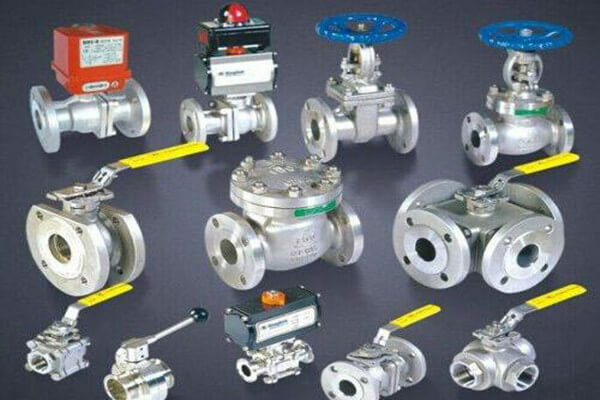 Valve installation and construction units store and operate the valves inappropriately; when the valves are tested on the pipeline, there are too many impurities in the pipeline and the water quality is not up to the standard, resulting in damage to the sealing surface of the valves, resulting in leakage of the valves. Inspection by valve construction supervision unit is not strict. In the process of valve installation, commissioning, pipeline cleaning and pressure test, the quality assurance system fails, resulting in valve damage or valve leakage. Eighth, the use of valves and the owner’s unit do not follow the operating rules of valves, and the daily maintenance process does not regularly check, maintain, lubricate and replace the filling gaskets according to the rules, resulting in the rust of the valve stem, the failure of the switch, or even the occurrence of jamming; it can also cause the aging of fillers and gaskets, the aging and deterioration of lubricating oil (grease) and so on, which are the causes of valve internal leakage. The connection of the closure is not firm and loose and falls off. The material of the connector is not right, and it can not withstand the corrosion of the medium and the wear and tear of the machine. The connection between the closing part and the valve stem should be firm, and the threaded connection should have a stop-return part. The fasteners used for connecting the closure and the stem shall withstand the corrosion of the medium and have certain mechanical strength and wear resistance. The packing is not installed properly, and there are some defects, such as replacing large size with small size, bad spiral winding joint, tightening up and loosening down. The filler has aged and lost elasticity after its service life. Stem accuracy is not high, there are bending, corrosion, wear and tear and other defects. The number of packing rings is insufficient and the cap is not pressed. The cover, bolts and other parts are damaged, so that the cover can not be pressed. Improper operation, excessive force, etc. The cap is skewed, and the gap between the cap and the stem is too small or too large, which results in the wear of the stem and the damage of the packing. Material and type of filler should be selected according to working conditions. The valve stem should be straightened and repaired after bending and wearing, and the damaged valve stem should be replaced in time. Packing shall be installed in accordance with the prescribed number of loops, the cover shall be tightened symmetrically and evenly, and the jacket shall have a pre-tightening clearance of more than 5 mm. Damaged caps, bolts and other parts should be repaired or replaced in time. Operating rules should be followed. Except for impact handwheels, they should be operated with uniform speed and normal force. The cover bolt should be tightened evenly and symmetrically. The gap between the cover and the stem should be increased appropriately if the gap between the cover and the stem is too small. The gap between the cover and the stem should be replaced if the gap is too large. The sealing surface is not grinded unevenly and can not form a tight line. The top of the connection between the stem and the closure is suspended, irregular or worn. The valve stem is bent or assembled incorrectly, which makes the closure skewed or uneven. Improper selection of sealing material quality or failure to select valves according to working conditions. Choose the material and type of bump gasket correctly according to the working condition. Bolts should be screwed evenly and symmetrically. Torsion wrenches should be used when necessary. Pre-tightening force should meet the requirements and should not be too large or small. There should be a certain pre-tightening clearance at the joint of flange and thread. The corrosion, damage and processing quality of the static sealing surface are not high. It should be repaired, ground and colored to make the static sealing surface meet the relevant requirements. When installing gaskets, attention should be paid to cleaning. Kerosene should be applied to the sealing surface, and gaskets should not fall to the ground. Seal ring connection is corroded. Leakage at sealing rolling place should be fixed by injecting adhesive and rolling again. Sealing rings should be repaired according to welding specifications. The original surfacing should be cleared and processed when the surfacing site can not be repaired. Remove the screw, wash the ring, replace the damaged parts, grind the sealing and connecting seats, and reassemble. For parts with large corrosion damage, welding and bonding can be used to repair them. The sealing ring connection surface is corroded. It can be repaired by grinding, bonding and other methods. When it cannot be repaired, the sealing ring should be replaced. Casting quality of iron castings is not high. There are sand holes, loose structure and slag inclusion defects in valve body and valve cover body. 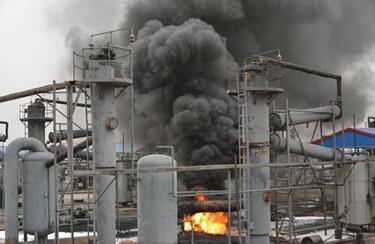 Cast iron valves were damaged after being impacted by heavy objects. For valves with temperatures below 0 and 0 degrees, heat preservation or mixing should be carried out. Water accumulation should be eliminated when stopping using valves. Welding seams of valve body and valve cover composed of welding should be carried out according to relevant welding operation rules, and flaw detection and strength test should be carried out after welding. It is forbidden to push heavy objects on the valves. It is forbidden to impact cast iron and non-metallic valves with a hammer. The installation of large caliber valves should have brackets. 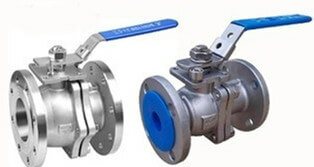 Valve leakage is generally divided into two types: external leakage and internal leakage. Internal leakage refers to the inadequate closure of the valve due to erosion and abrasion of the conveying medium, scratches on the sealing surface and other reasons, which can not completely prevent the conveying through after the valve is completely closed. Why is the valve always malfunctioning, is it a quality problem or an operation error?